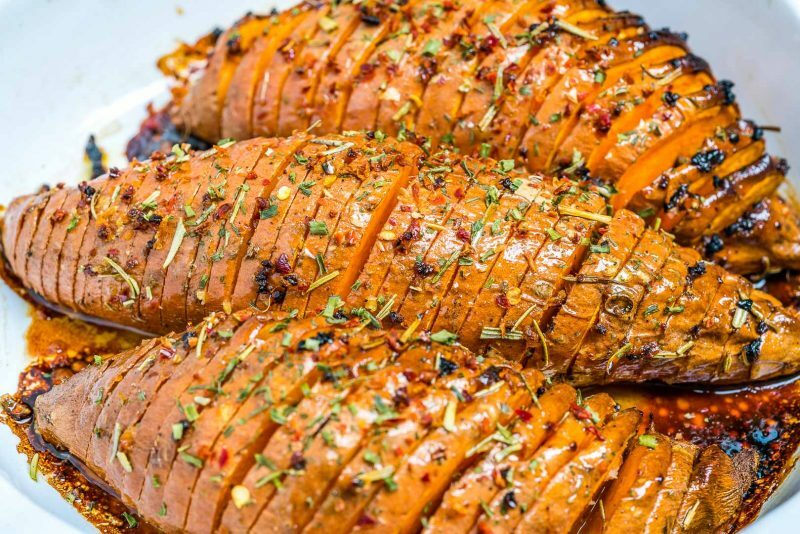 Honey + Garlic Hasselback Sweet Potatoes for Creative Clean Eats! 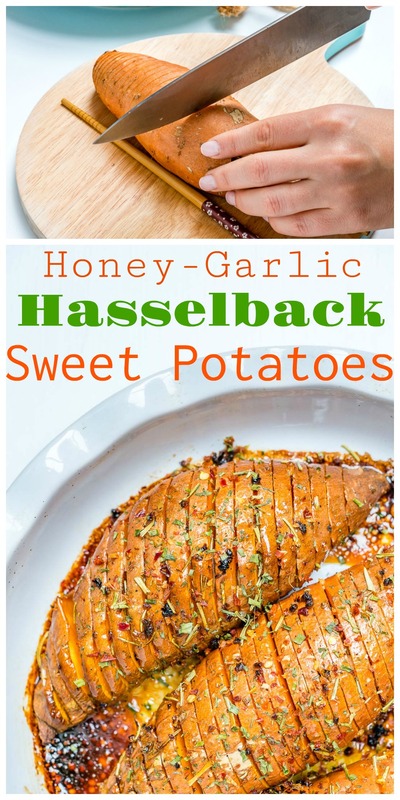 In a small glass bowl, add honey, garlic, melted ghee, rosemary, chili flakes, sea salt, and pepper, then whisk until well combined. Wash the potatoes and place them on cutting board. 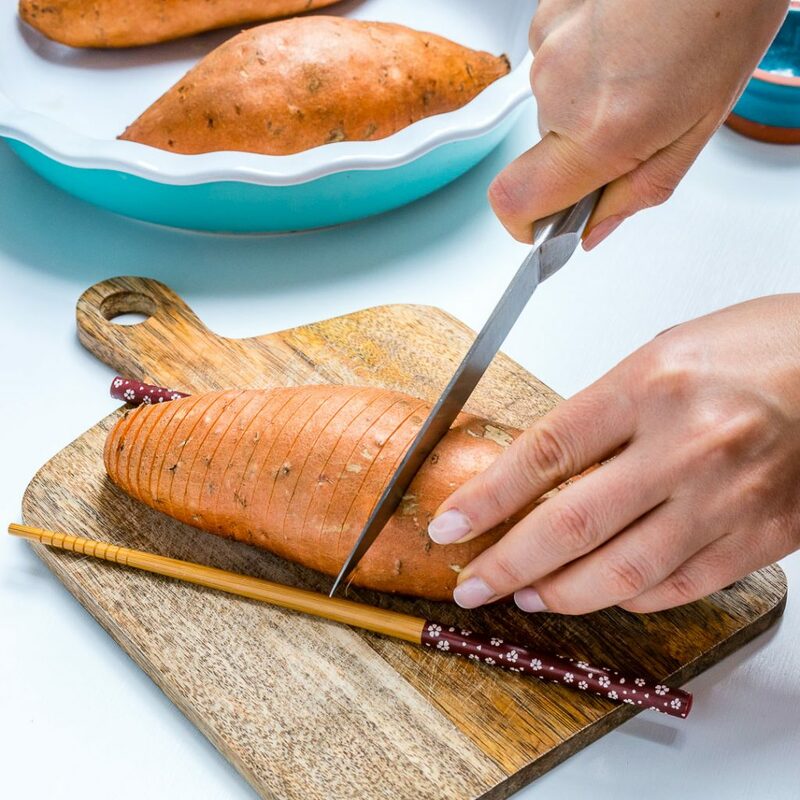 Place a wooden chopstick on either side of the potatoes and, with the help of a sharp knife, slice the potatoes as thinly as you can without going all the way through the bottom, as shown. 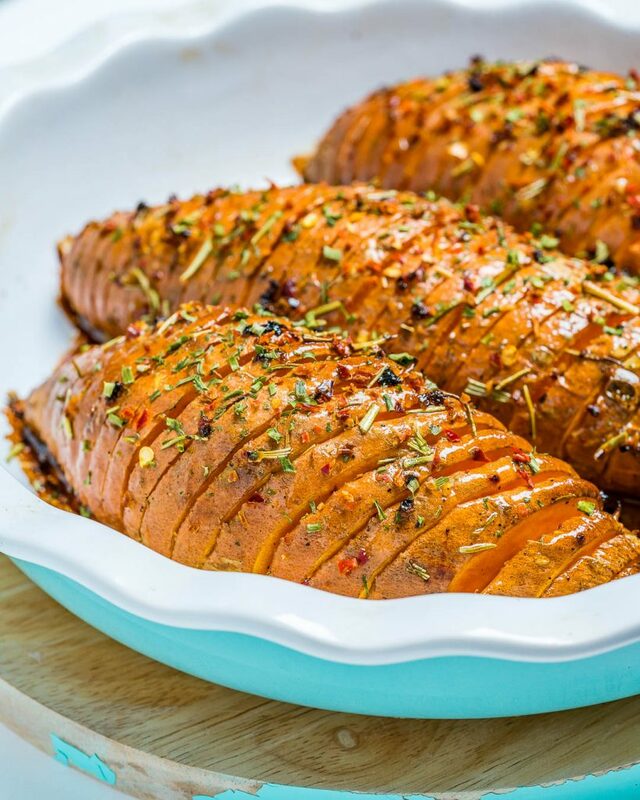 Brush the honey-garlic mixture over the potatoes and push it in between the slices. 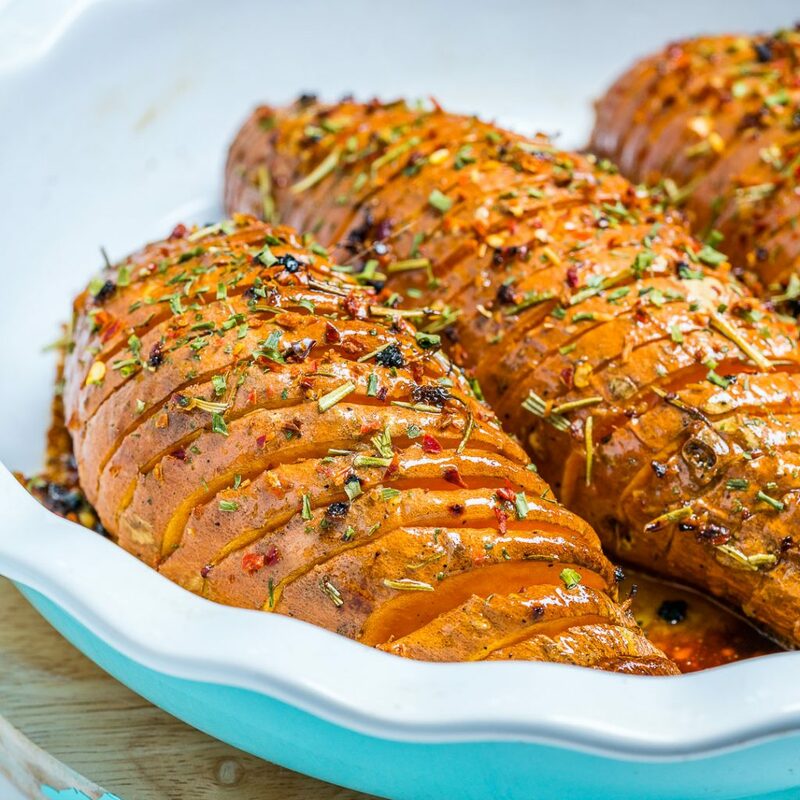 Bake in your preheated 375 degree oven for about 60 minutes, removing the foil 15 minutes before the potatoes are done baking, so they can crisp up a bit at the end.